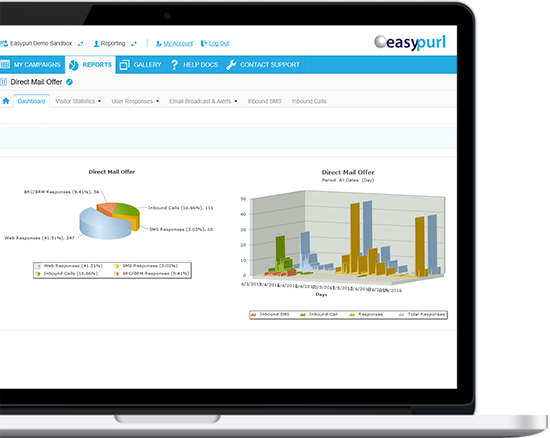 Easypurl is a fully featured and easy to use marketing platform for Direct, Database, CRM and Loyalty Marketers. 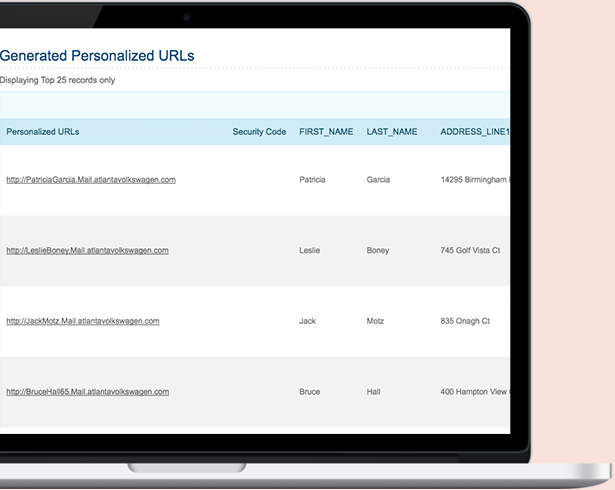 Create unique, Personalized URLs and QR Codes for every prospect and customer for true 1:1 marketing. Every prospect or customer sees messaging with their name alongside your brand — stimulating responses by creating a meaningful connection through your marketing message. Our sophisticated personalization engine is simple to use — making the delivery of 1:1 experiences for each target a walk in the park. 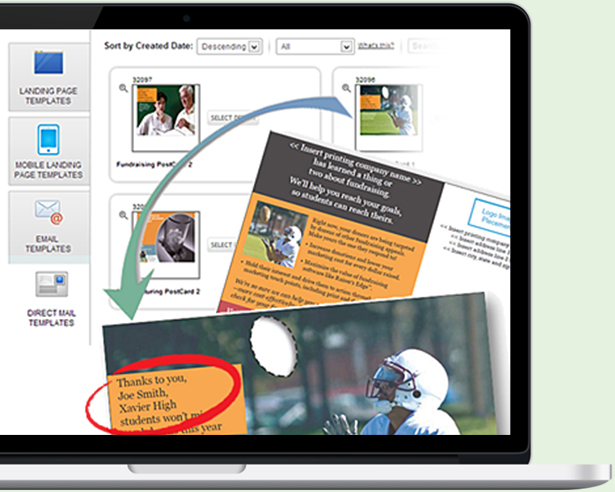 Create personalized content and deliver seamlessly across channels such as print, mobile and desktop web, SMS and social media. 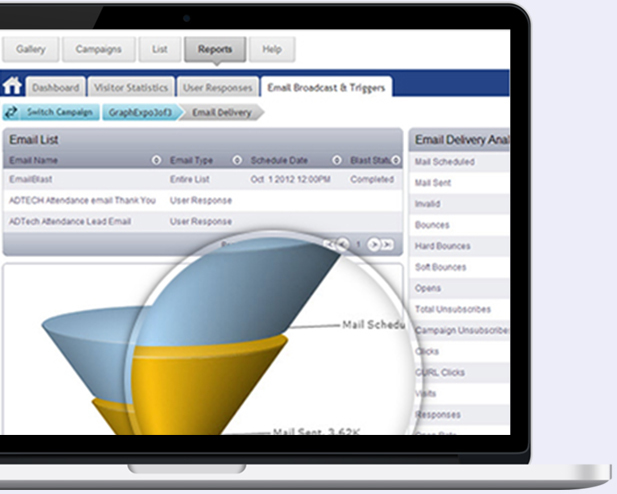 Broadcast outbound messages to prospects and customers across all four major marketing channels from one platform — with a click of the mouse! 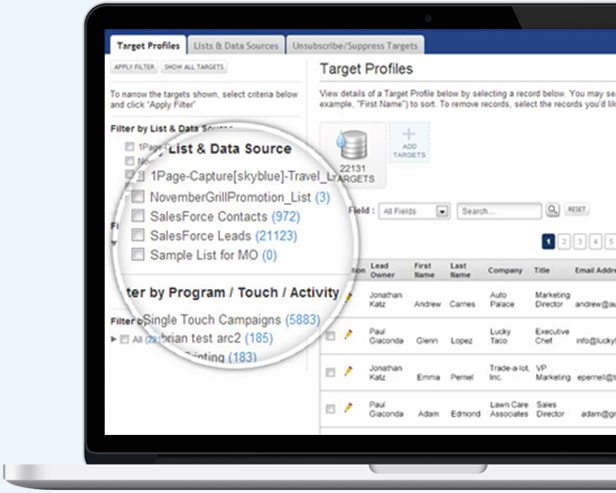 Slice, dice and merge segments with the best-in-class profiling and target selection tools at your fingertips. 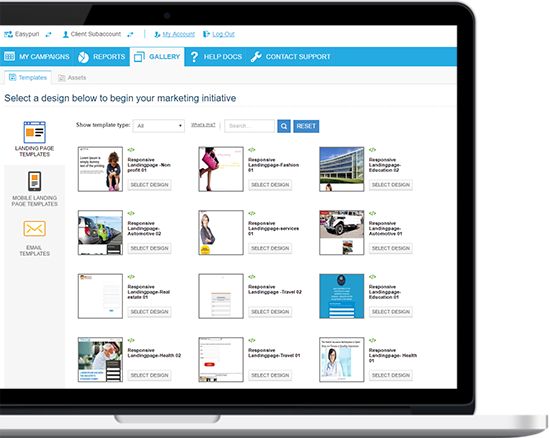 Our sophisticated Target management tools help marketers ensure that the right messages get to the right audience on the right channel at the right time. Track everything and make sense of everything. Surprised? All too often applications forget that reporting needs to be powerful, yet easy to understand. 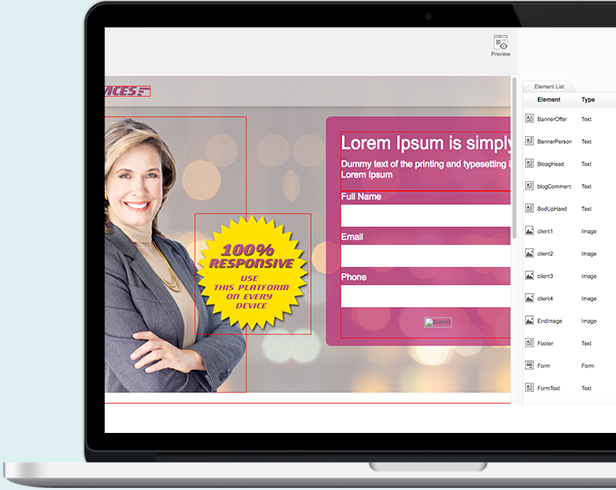 We deliver on that promise — pulling all your marketing results together smartly and beautifully. 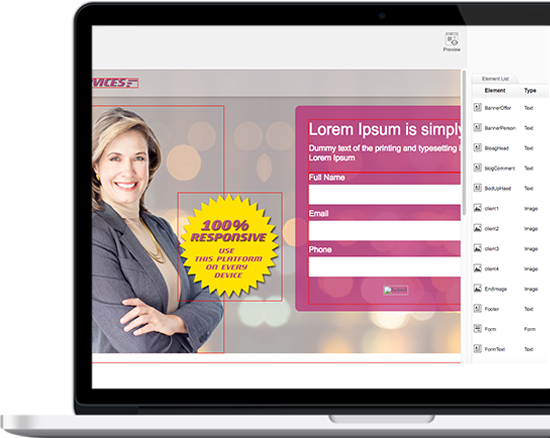 Our core mission is to help clients quickly establish a one-to-one dialog with every prospect and customer, as if you were speaking to them individually. 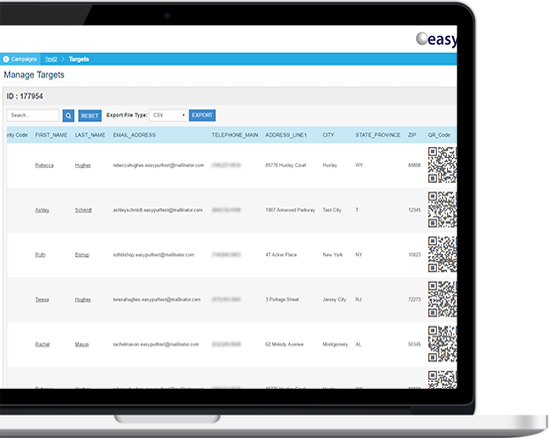 We accomplish this with a powerful combination of personalization, monitoring, measurability and follow-up, configured in an à la cart-style menu that provides maximum flexibility. Pretty cool, right? 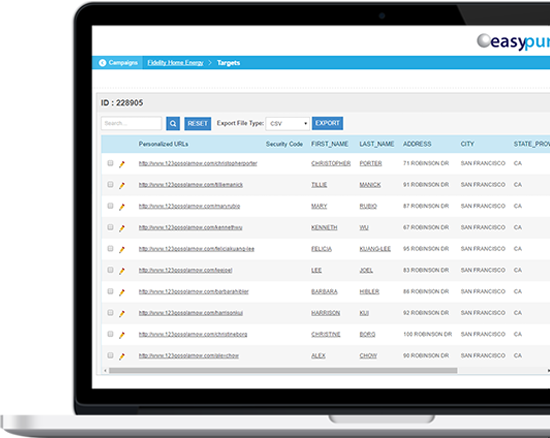 Try our software risk free for 30 days! Testimonial 2 copy goes here. Copy goes copy goes here Testimonial 2 copy goes here Testimonial 2 copy goes here.